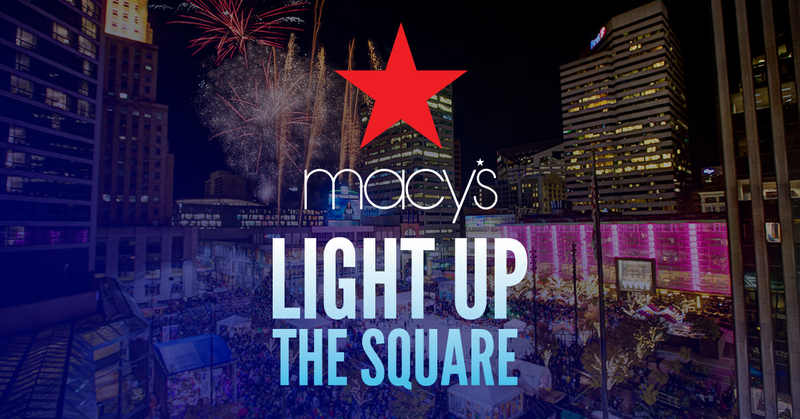 Join us Friday, November 23rd for our annual Macy's Light Up The Square event! Special thanks to our sponsors, Macy's, Cincinnati Bell, P&G, WLWT, Lykins Energy Solutions & Q102 (WKRQ) for making this annual celebration possible! Additional restroom facilities will be available near the flagpole on 5th Street. Parking is available at Fountain Square Garage, and just a block away at the 84.51° Garage. Ice rink admission is $6 and skate rental is $4. Rink opens at 9am for skating.